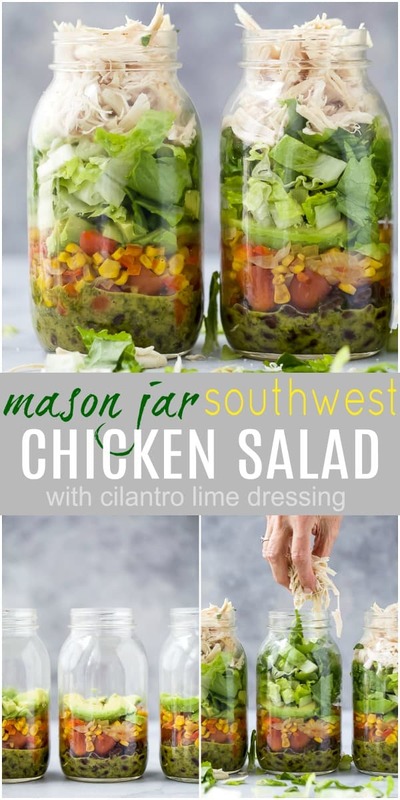 Mason Jar Southwest Chicken Salad with a zesty Cilantro Lime Dressing. 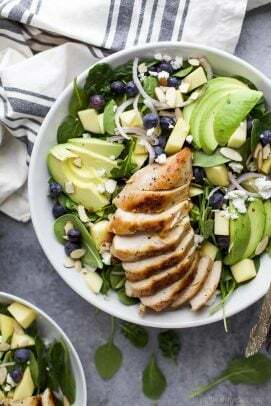 An easy chicken salad recipe perfect for meal prep. 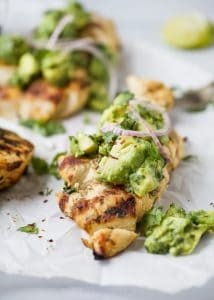 Easy Delicious Southwest Chicken Salad with a zesty Cilantro Lime Dressing. 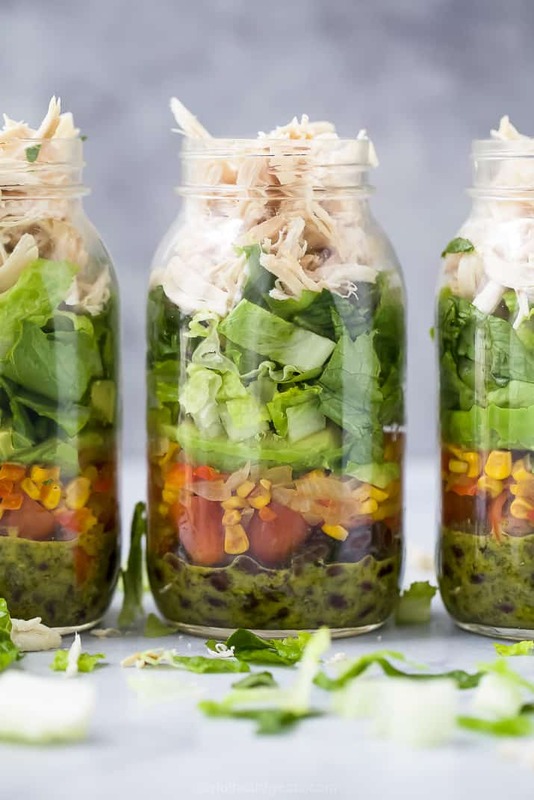 This veggie and protein packed mason jar salad is the perfect meal prep for the week – only takes 30 minutes! This Monday was flippin awesome! And it was a Monday, that like never happens! Woohoo! I think a lot of it had to do with what I was able to accomplish that day. I had a laundry list of recipes I wanted to make and I have really been trying to be more active on my Instagram stories. 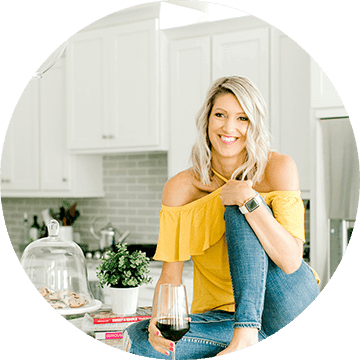 Monday, I was able to make AND photograph 5 recipes and was even able to take you along on the journey through my stories. Let’s just say that at the end of the day. I sat down and enjoyed that Nutella Lava Cake I made and ate every last bite because I deserved it. 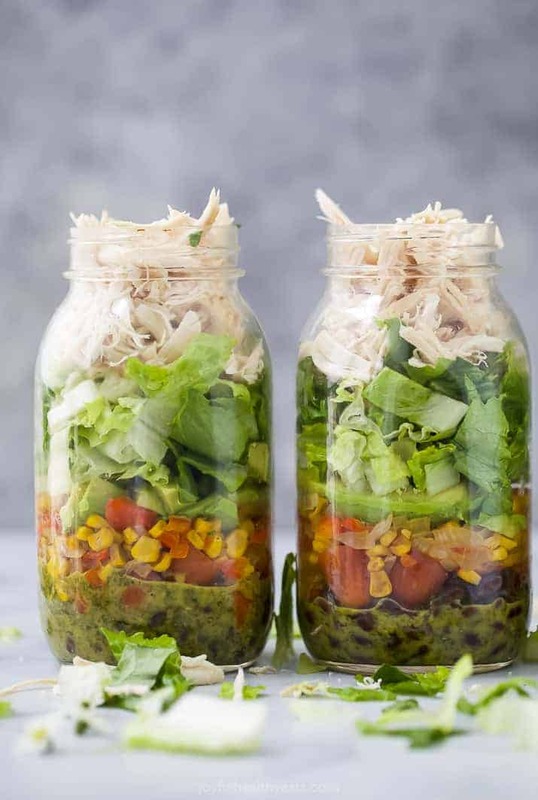 Today we are talking all about Mason Jar Salads and how perfect this Southwest Chicken Salad recipe is. 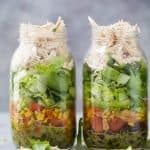 How to make a Mason Jar Salad? 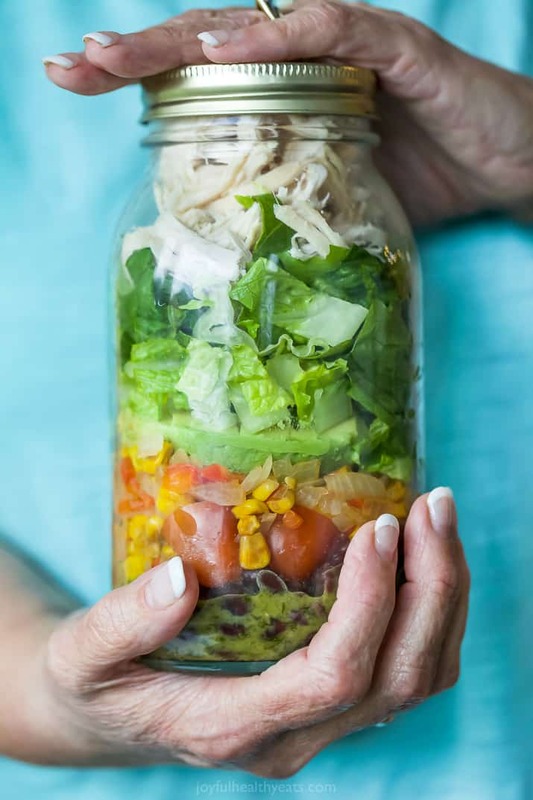 Yes, there is an art to the layering a mason jar salad so your salad does not get soggy. I use a 32 oz mason jar for my salads. 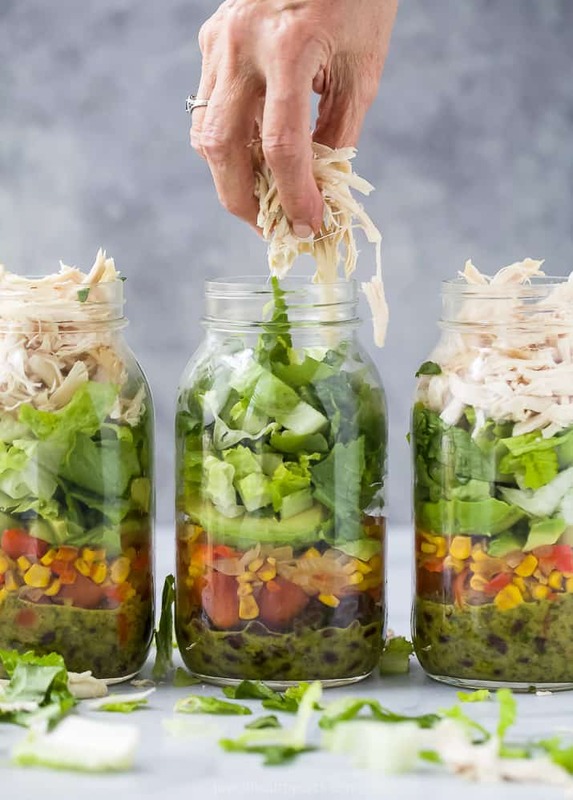 How long does a mason jar salad last? 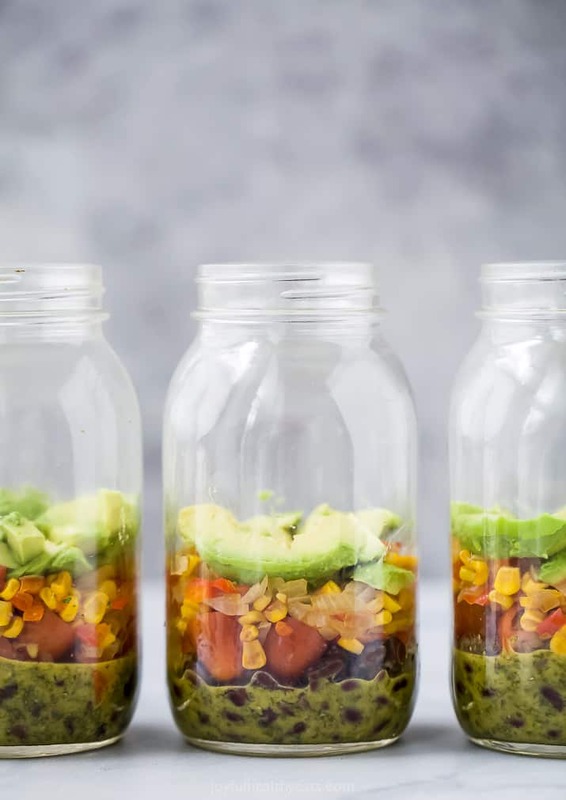 If a mason jar salad is packed properly and stored in an air tight container in the refrigerator it will last up to 3 days without getting soggy. 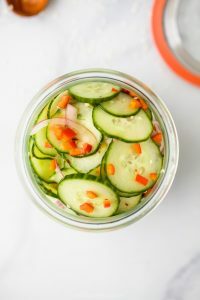 How to serve a mason jar salad? 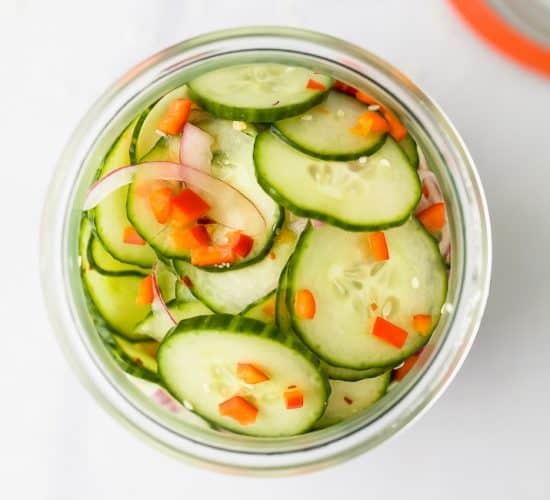 A mason jar salad is easy to serve, just dump the contents out into a large bowl. 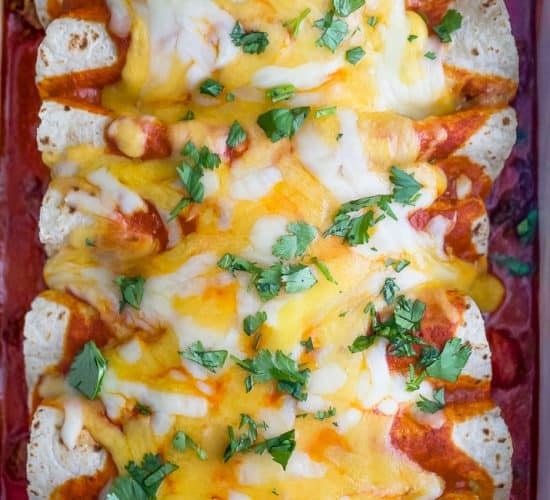 Toss the ingredients to coat everything with the dressing. Serve immediately. Two things stick out to me with this Southwest Chicken Salad. The roasted corn pepper relish and the cilantro lime dressing. 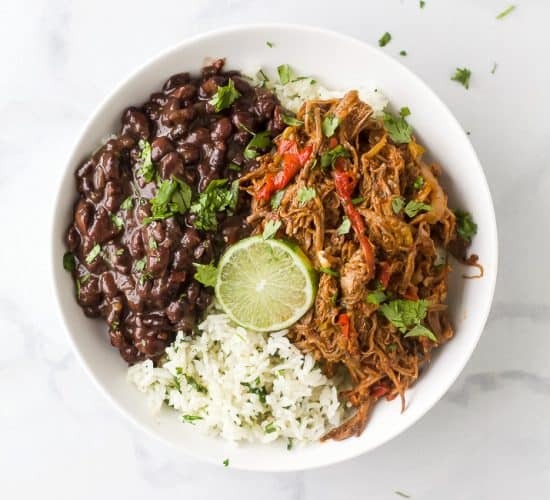 Both of them are packed with flavor, color and nutrients. 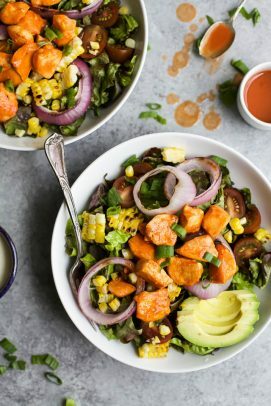 When you dump the contents of this salad out and toss it all together it becomes magical! Everything just blends together perfectly! I don’t mean to toot my own horn, but oh my goodness. I rocked this one. You have GOT to put it on your must make this. It takes 30 minutes to come together and then you have 3 lunches for the week that are already prepped! Taking meal prep to a whole new level! 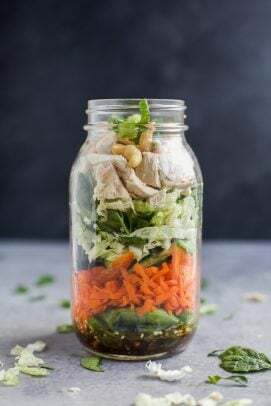 After you try it, let me know what other mason jar salads you’d like me to make! 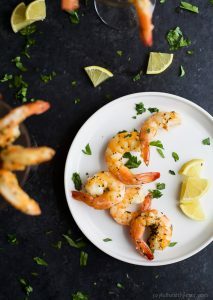 To a food processor add shallots, garlic, cilantro, lime juice, red wine vinegar, honey, mustard, salt, cumin and smoked paprika. Pulse until the cilantro is finely chopped. Add in olive oil and pulse until it forms a dressing. (until the oil and vinegar no longer separate) Set aside. Next, add in red pepper, onion and salt to the pan. Saute for 2-3 minutes. Let cool. 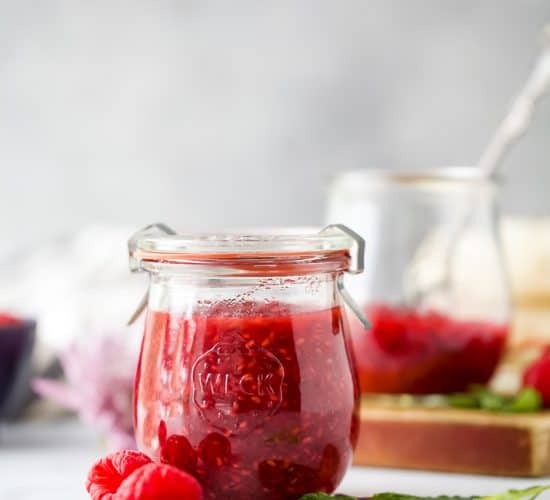 Once corn pepper relish is cooled start to assemble mason jars. You’ll need 4 32 oz. mason jars. Layer as each jar as follows: 2-3 tablespoons of dressing, 3 oz. 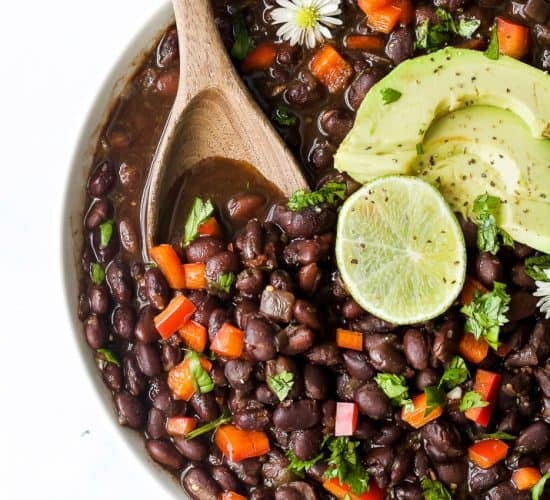 black beans, 1/4 cup halved cherry tomatoes, 1/2 cup corn pepper relish, 1/2 avocado diced, 1 1/2 cups lettuce, 1/3 cup shredded chicken. Seal and store in refrigerator for up to 3 days. 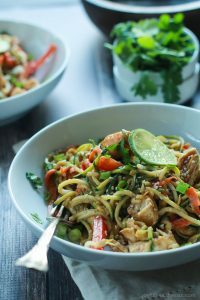 When eat just dump all the ingredients out into a bowl, toss and eat! 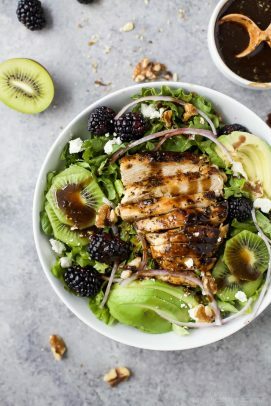 Want more Healthy Chicken Salad Recipes?